Rev. 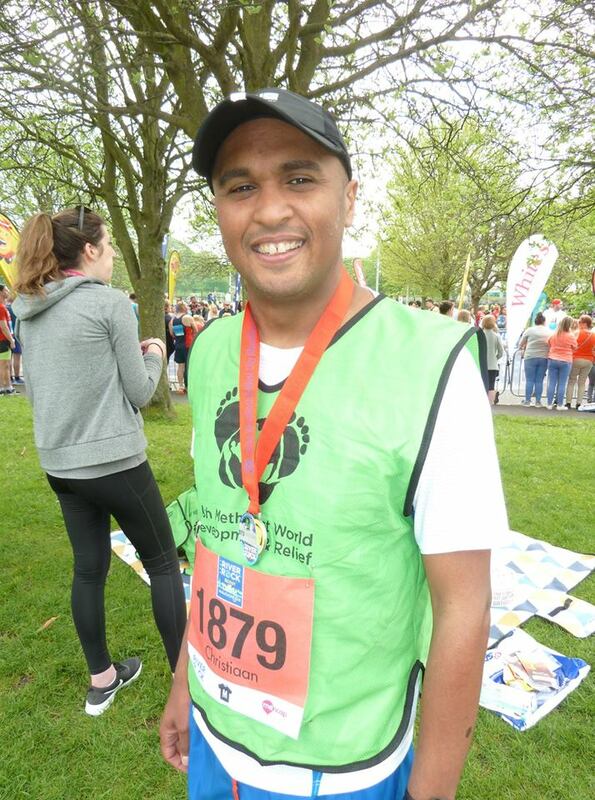 Christiaan Snell ran the full 26.2 miles for WDR in the 2018 Belfast Marathon. Here he tells us why he decided to take part! Last year I decided to run the Belfast Marathon. I am new to marathon running and completed my first marathon in 2017, so I set the goal of running two marathons in one year. Being new to the Methodist church I also thought it would be a good opportunity to get involved with the church in another way. When I ran my first marathon in 2017, it was just to tick it off my bucket list. However in deciding to run Belfast in 2018 in the back of my mind I knew I wanted to run to raise funds for a worthy cause. Being from Cape Town originally, I have been so mindful of the crises my home city has been facing with drought and the scarcity of water. When I heard that WDR was looking for people raise funds for an essential organisation like Dabane in Zimbabwe I was immediately sold. Running for Dabane was a great away of supporting those who are on the forefront of providing clean water to people who need such a basic thing. It was wonderful to be part of the Belfast marathon on the day. Personally I achieved a massive PB for my marathon time which I was chuffed about. However, what made the day even more special was that I knew that I was one of many people running on the day supporting the same cause. It was a real encouragement on the road to run past other runners wearing the same green bibs. If you are thinking about running in the Belfast marathon for WDR, don’t hesitate to sign up. It is a wonderful way to make those aware around us of needs elsewhere. It is a wonderful way to support WDR and the great work they are doing under the umbrella of the Methodist Church in Ireland to show our love in action. Apart from all of this, it’s just a great day to be part of whether you are a seasoned marathon runner or just taking on your first race. Get registered! If you’d like to register to take part, please contact us! We’d love to have you on board!